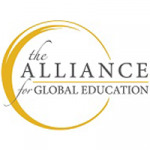 The Alliance for Global Education, LLC, a not-for-profit partnership of the College of Global Studies at Arcadia University and the Institute for Study Abroad Butler University, provides stimulating, interdisciplinary study abroad programs in China and India to an ever-growing and more diverse U.S. undergraduate population. The Alliance for Global Education, LLC, a not-for-profit partnership of the College of Global Studies at Arcadia University and the Institute for Study Abroad, Butler University, was formed with the vision of opening study abroad destinations in Asia to an ever-growing and more diverse U.S. undergraduate population. Both partner institutions are pioneers in the field of study abroad and have been providing academically rigorous and culturally enriching study abroad programs for over 40 years. The Alliance provides stimulating, interdisciplinary study abroad programs in China and India that maintain the high academic standards, strong student services, and careful health and safety measures of our partner institutions. Our core mission is to develop and promote innovative programs in vibrant, dynamic Asian countries that are of ever-increasing scholarly, political, and economic interest. Since 2007, the Alliance has enrolled over 1,200 undergraduate students from 250 U.S. colleges and universities in our China and India programs. In addition, the Alliance is honored to have been selected by the American Councils for International Education and the U.S. Department of State to host all three China sites for the Critical Languages Scholarship (CLS) program.